GF1 recognises basic fibroblast growth factor (bFGF). Our Abpromise guarantee covers the use of ab181 in the following tested applications. IHC-Fr 1/250. PubMed: 17327226Fix with acetone. Not suitable for detecting bFGF bound to cell surface receptors. Immunohistochemistry (Frozen sections) - Anti-FGF basic antibody [MC-GF1] (ab181)Image from Morss AS et al., J Biol Chem. 2007 May 11;282(19):14635-44. Epub 2007 Feb 27. 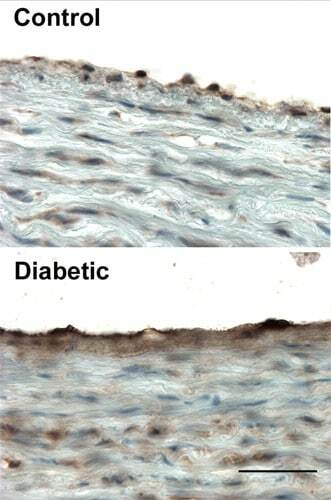 Fig 7.; doi: 10.1074/jbc.M608565200; May 11, 2007 The Journal of Biological Chemistry, 282, 14635-14644.
ab181 staining FGF basic in normal (upper) and diabetic (lower) porcine aortic tissue by Immunohistochemistry (Frozen sections). Tissue was fixed with acetone and air dried for 24 hours. Sections were blocked for endogenous peroxidase activity and incubated with primary antibody at 1/250 dilution. Staining was detected using DAB and counterstained with hematoxylin. I checked your website but was not able to find the information I needed about Your anti-bFGF antibody AB181. 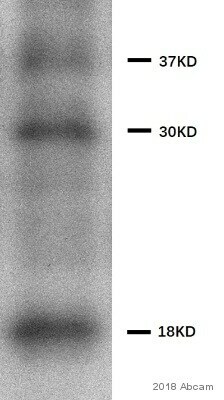 Is it possible to give me more information about the pI and the sequence of this antibody? The immunogen used to raise the anti-FGF basic antibody ab181 is the recombinant full length protein(human). Unfortunately, the epitope of this clone has not been mapped and the pI of our antibodiesare not determined. We will update the on-line datasheet for this product as soon as we receive additional data. I have searched this for this PO and the product's order history an cannot find any order using this PO or to Pfizer placed within the last two years. Was this product purchased from an outside distributor? Thanks for the information. That is really unfortunate, since that is the reason we purchased this particular antibody. We are very sorry about this. We will happily replace or refund this product for you. I look forward to your reply on how you like to proceed. Please do not hesitate to contact us if you need any more advice or information. Customer kindly contacted us to inquire about the reference data used for the claim that this product is competitively displaced by heparin. Thank you for your patience as I contacted our lab regarding your inquiry. I had looked through data regarding this product and found no information to support the statement on the datasheet. These finding were passed onto the production lab who have confirmed that the details were entered in error. The statement is being removed and should be live on the website shortly. We do apologize for any inconveniences which this error made have created for you. Customer kindly contacted us to inquire about the reference data used for the claim that this product is is competitively displaced by heparin. I just wanted to let you know that I am still working on your inquiry. I have contacted the originator of this product for the information you requested, and I am awaiting a reply. I am very sorry for the delay. I will forward to you the information as soon as I receive it. Thank you for your patience. Would like to test in IHC-P with pig sections. This code will give you 1 freeprimary antibodybefore the expiration date. To redeem this offer, please submit an Abreview forab181 and include this code in the “Additional Comments” section so we know the Abreview is for this promotion. Please remember that submission of the Abreview is sufficient for the discount code to become active. For more information on how to submit an Abreview, please visit the site: www.abcam.com/Abreviews. Dear,Some time ago I ordered different monoclonal anti-bFGF antibodies: Ab 181, Ab 17505, Ab 18629, Ab 18631, Ab 18634 and Ab 10419. I was wondering if you have any information about their binding to the bFGF, do they bind to the same epitopes or can I for example perform a sandwich-assay with two of these antibodies? I have received further information from lab. Unfortunately lab has confirmed that because they do not have any tested data of these antibodies being used as pairs in sELISA and also due to non availability of epitope sequence they are unable to confirm the sue of these products in sELISA. I am sorry I am not very helpful this time. Should you have any other question please do not hesitate to contact me. We unfortunately have not tested any of these antibodies in sandwich ELISA so we will not be able to confirm their use. Technically, sELISA application needs two antibodies (sELISA pair) which should be raised against different part of immunogen to avoid any interference between the two; the pair should be tested in sELISA. For these antibodies, also the immunogenic epitope sequence is not available yet so we can't recommend which ab should be used as detection or capture antibody. It seems, these antibodies are tested in indirect ELISA so we are happy to guarantee the iELISA application. To know more about the sELISA specificity I have sent an email to my colleagues for double checking if these can be used as sELISA pairs. I will send you the information soon. I can suggest trying these antibodies in sELISA however please note because all of these antibodies are monoclonal so either you will need to conjugate one of these antibodies or you will need an anti-mouse conjugated tertiary antibody. 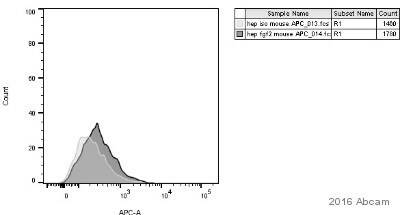 The positive thing, these antibodies have different isotypes so the anti mouse tertiary antibody you would need could be against a particular isotype e.g. IgG2a which should not cross react with IgG1. ab102892, ab102890, ab102891, ab102889 etc. I hope this information will be helpful. Should you have any other question please do not hesitate to contact me.